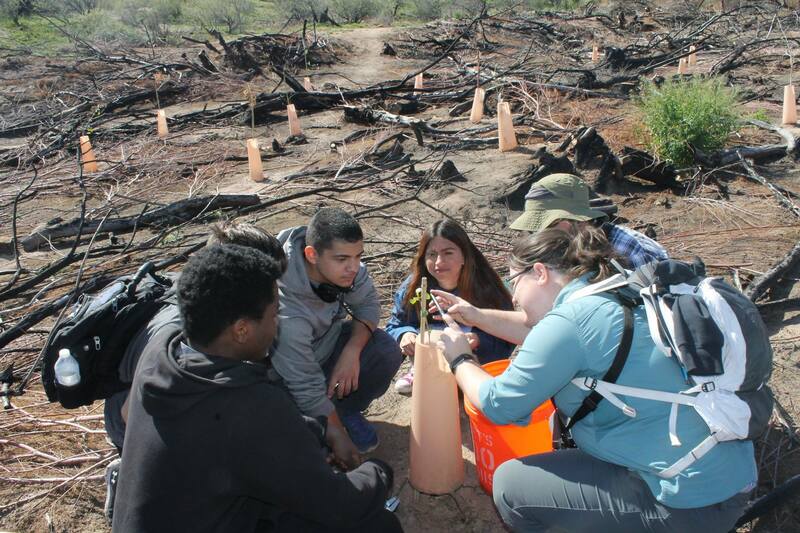 The APS Foundation recently awarded a $15,000 grant to Audubon Arizona for their River Pathways program, a hands-on program geared toward transforming high school students into the next generation of conservation leaders. Thanks to funding from APS and other corporate and federal donors, the River Pathways program includes a new partnership among Audubon, the National Forest Foundation, and Northern Arizona University. 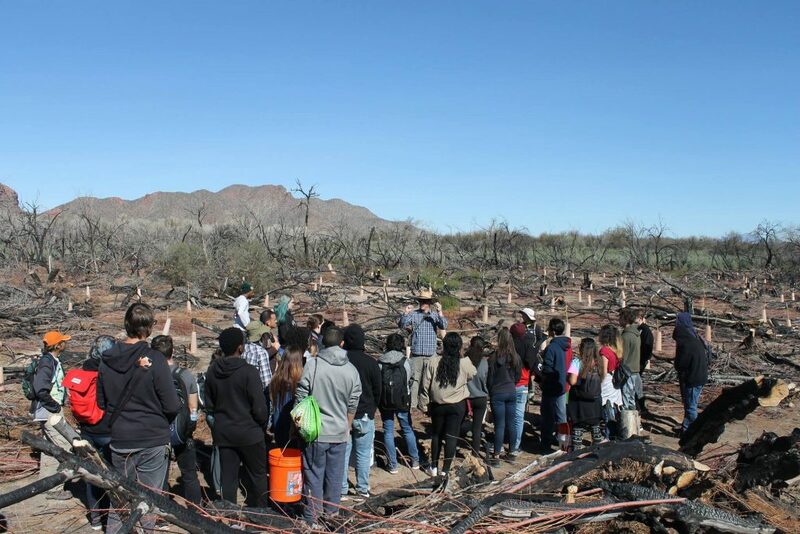 In response to a fire in 2017 near Granite Reef Recreation Area, a popular river-access point to Lower Salt River and within an area designated as being important for the conservation of Arizona’s bird populations, scientists and graduate students from NAU have designed and implemented a restoration project to reforest the lower Salt River. NAU and NFF have been working since early this year to plant thousands of trees along this stretch of the Salt River. The Audubon River Pathways field trips introduce high school students to the important work related to project monitoring and data collection. Each field trip starts with a survey of the affected area. The students then learn to use an Audubon key to monitor progress of the reforestation efforts. The field trip concludes with a visit with the Arizona Game and Fish Department’s Nest Watch crew as the students learn about Arizona’s nesting bald eagles and what a job in wildlife biology looks like. The first River Pathways field trip to the lower Salt River was February 12, with a group of students from Desert Edge High School. Another field trip took place March 11 with a group from the Girls Leadership Academy of Arizona, and another field trip took place on Friday, March 29 with a group from Maryvale High School. The River Pathways curriculum is a collaborative effort between Audubon Arizona, the Bureau of Land Management, and the Phoenix Union High School District intended to get students outdoors, introduce them to Arizona’s native habitats, and build their interest in careers managing public lands. This is done through six classroom modules focused on riparian ecology and resource management, as well as field trips to the Nina Mason Pulliam Rio Salado Audubon Center and the Agua Fria National Monument or the Tonto National Forest. 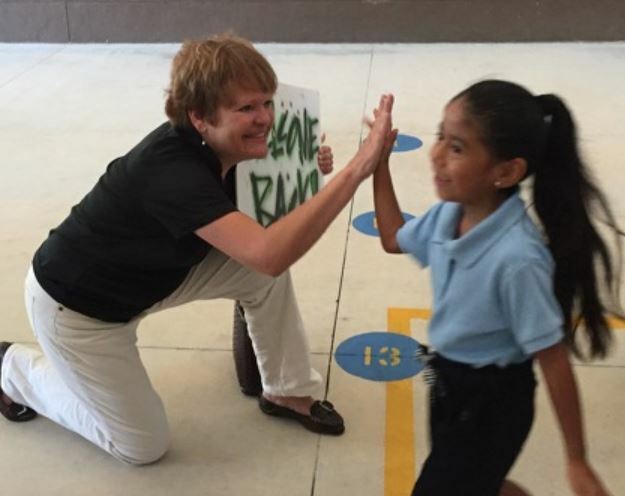 Over the last 8 years we have engaged more than 5,000 students through the River Pathways program.